In 2015 the DVS TECHNOLOGY GROUP founded the sales and service company DVS TECHNOLOGY AMERICA based in Plymouth near Detroit, at the heart of the American automotive industry. With local engineering, sales and service experts and the objective of direct and flexible on-site user support, the overseas company has since been supporting the activities of all DVS companies on the important markets USA, Canada and Mexico. The DVS customers in these countries are extremely satisfied with the service, as the company recently proved once again within the context of a project realized in cooperation with PRÄWEMA Antriebstechnik for a renowned US automotive supplier. 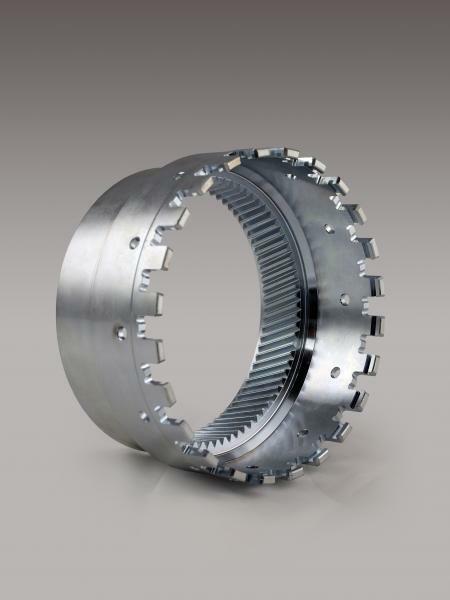 As the local DVS expert for the North American market, who unifies the expertise of all DVS tool and machine suppliers and provides direct customer support with requirement-oriented solutions, DVS TECHNOLOGY AMERICA received an inquiry from a first tier supplier from the US automotive industry. The inquiry concerned the complex challenge of realizing a highly productive as well as precise production cell for manufacturing castle teeth components with crown gearing on the face side which are used in a 9-speed automatic transmission by the American end customer. According to the supplier, the manufacturing requirements for this component cannot be met using any of the solutions currently available on the market. 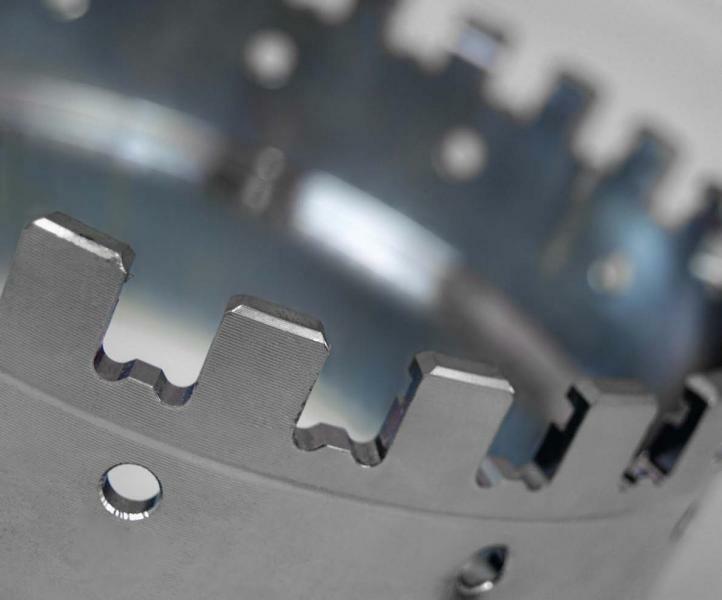 The user required the working of a special tooth flank shape on both sides of the workpiece, for example, in an extremely tight tolerance range of only a few micrometres. In addition, it was necessary to make the tooth base flat, with a very strict tolerance. Together with the DVS gearing specialist PRÄWEMA Antriebstechnik based in Eschwege, northern Hesse/Germany, DVS TECHNOLOGY AMERICA took on the challenge and achieved a solution in close cooperation with the DVS sister company which involves two fly cutting twin spindle milling machines of the type PRÄWEMA WPSLV 2-2 custom-designed for the application of the US supplier. In order to ensure flexible and direct on-site customer support, the local experts from the DVS overseas company acted as the key interface between the customer in the US and the DVS machine engineering company in Germany throughout the whole project. Thanks to comprehensive joint development and design work, an innovative axis system with synchronized CNC axes was implemented which complied with the special requirements of the customer application. 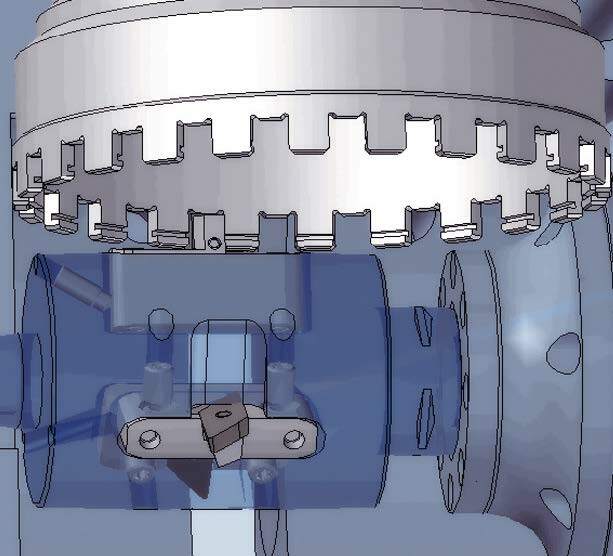 Accompanying this, the production of the required flank modification of the crown gearing in combination with the special machine kinematics was simulated and analyzed in detail first using a CAD system in 3D view. Constant achievement of the strict manufacturing tolerances was confirmed ultimately during the actual machining operation of the two PRÄWEMA machines. Decisive for this – alongside maximum thermal and dynamic machine stability – was the tool concept, which had been developed on the basis of precise tool geometry and application parameter design, in the form of a multi-blade fly cutter equipped with shaped indexable inserts. This stands out both on account of its extremely smooth running and the consistently high service life of the inserts used. The PRÄWEMA fly cutting method with only one direction of cutting from the inner to the outer diameter performed by rotating the cutter effectively prevents the formation of burr in the groove of the inner diameter, which can otherwise only be removed later in a costly and labour-intensive process – a clear benefit for the customer using PRÄWEMA technology compared with the competitive methods available. 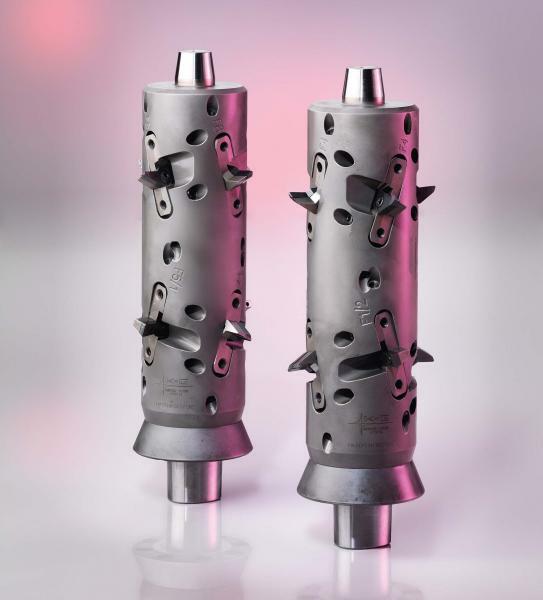 The burr produced at the outer diameter is removed during the milling process in the PRÄWEMA machine using integrated deburring operations which have no effect on the cycle time. The use-optimized synchronization of tool and workpiece in a constant speed and angle ratio permits the US supplier to achieve extremely short cycle times and thus maximum productivity. The production cell comprising the two PRÄWEMA machines was implemented in the existing infrastructure of infeed and outfeed conveyors – also with the support of local experts from DVS TECHNOLOGY AMERICA – and put into operation there. The raw parts are picked up from the customer-side automation by a shuttle system integrated in each machine and then transferred to the two spindles from behind through the respective machine. Following machining, the finished parts are collected automatically by the shuttle system and returned to the customer's automation system. The machines are also equipped with an engraving device which labels the machined castle teeth components with their respective drawing number, machining date, time and spindle, thus permitting permanent traceability of the finished workpieces for customer and end user. Thanks to the intensive cooperation of all those involved under the lead management of DVS TECHNOLOGY AMERICA, a highly customized machining solution was created which not only meets the demanding precision requirements of the US customer but also their enormous productivity requirements, with an annual production output of 700,000 components.